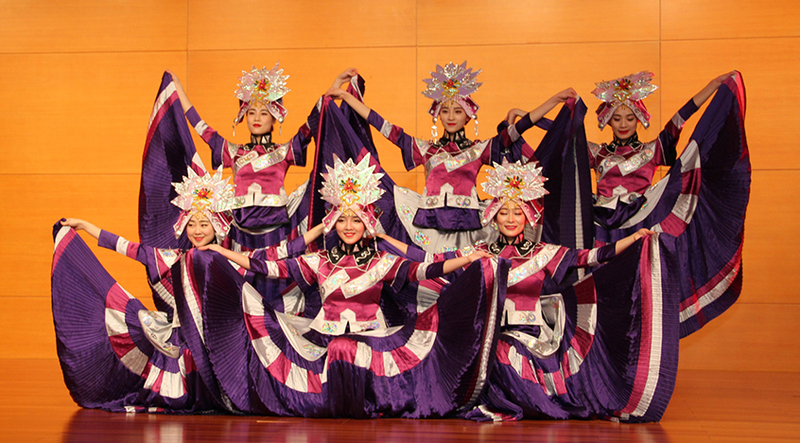 Dancers welcomed in the Year of the Dog at the Embassy of the People’s Republic of China. 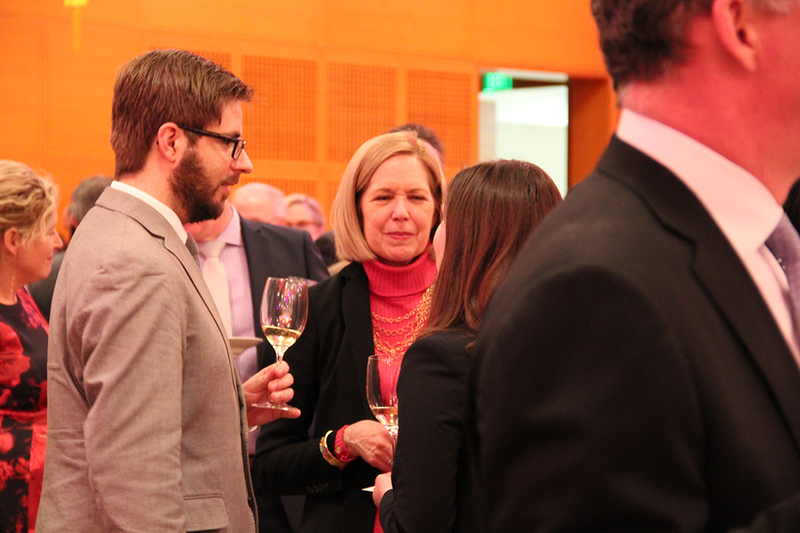 On February 13, 2018, Meridian International Center hosted the eighth annual Chinese Lunar New Year celebration with our partners at the Embassy of the People’s Republic of China. 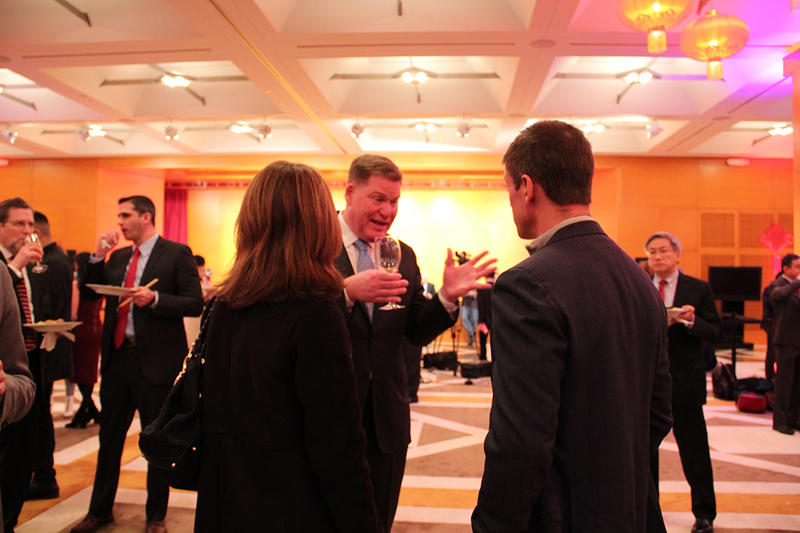 Every year, Meridian’s Chinese Lunar New Year celebration invites leaders from all sectors including the government, diplomatic, policy-making, business, and cultural communities in Washington to experience this centuries-old celebration rooted in ancient Chinese tradition. 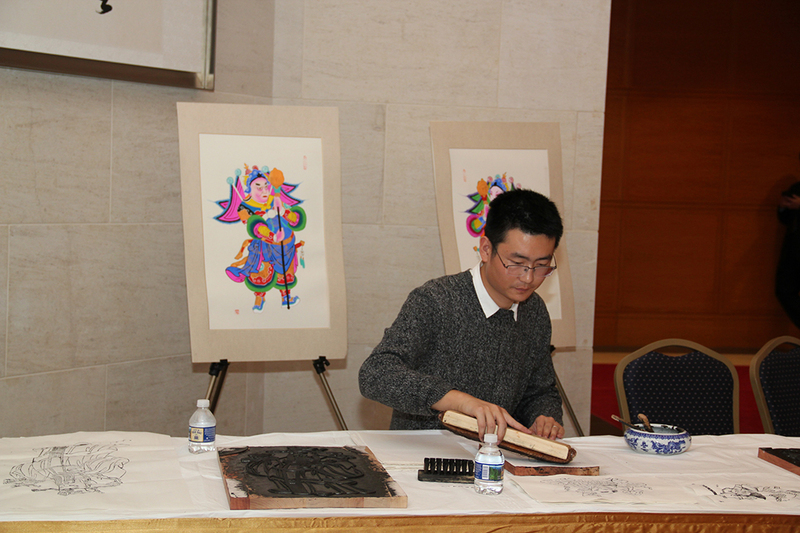 We celebrated the year of the dog with a night devoted to Chinese art and culture. 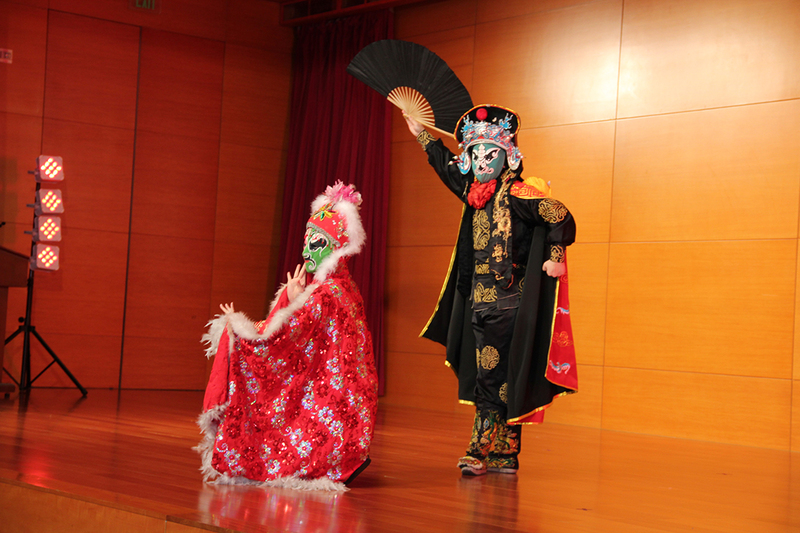 Guests were welcomed with a wide array of performances, artist demonstrations of Chinese activities, and popular Chinese cuisine. 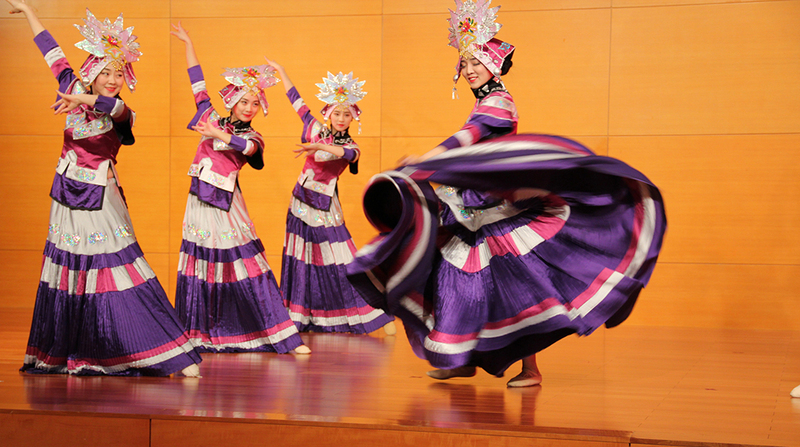 Demonstrations included an ensemble of traditional dancing, singing, painting, and instrumental performances of Chinese culture. 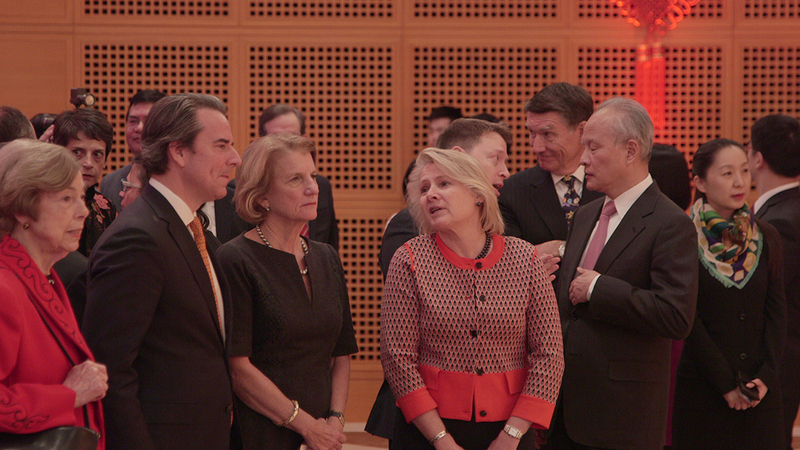 To begin the night, Meridian President and CEO Ambassador Stuart Holliday and Chinese Ambassador Cui Tiankai welcomed guests to the Embassy of the People’s Republic of China before the performances kicked off. Distinguished guests included Secretary Wilbur Ross and Hilary Ross, Senator Shelley Moore Capito, Congressman Rick Larsen, Kara Carscaden with Estee Lauder, Brian Toohey with Phrma, Acting Assistant Secretary Susan Thornton, Governor Jim and Janet Blanchard, FOX’s Chris Wallace, Carla Hills, Conrad Cafritz, Walt and Didi Cutler, Bob Coonrod, Marie Royce, Nate Tibbits, Juleanna Glover Weiss, Ben Chang, Ami Aronson, Ambassador Jim Cain, Christina Lepore, Stephenie Foster, Frank Islam and Debbie Driesman, Richard Morrisey, Chris Miner, Melanne Verveer, Holidae Hayes and Matthew Gavin. Visitors spent the night discussing the importance of maintaining the vital relationship between the United States and our Eastern partner. Now more than ever Meridian remains committed to fostering this relationship through diplomatic events that broaden understanding of different cultures and traditions. 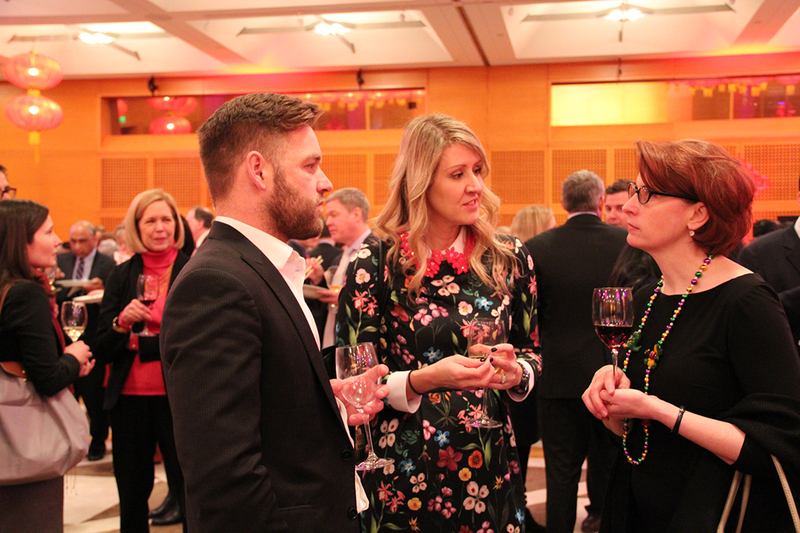 As one of the most celebrated holidays in the world, Chinese Lunar New Year provides the perfect platform for dialogue and discussion between global influencers in the United States and China. 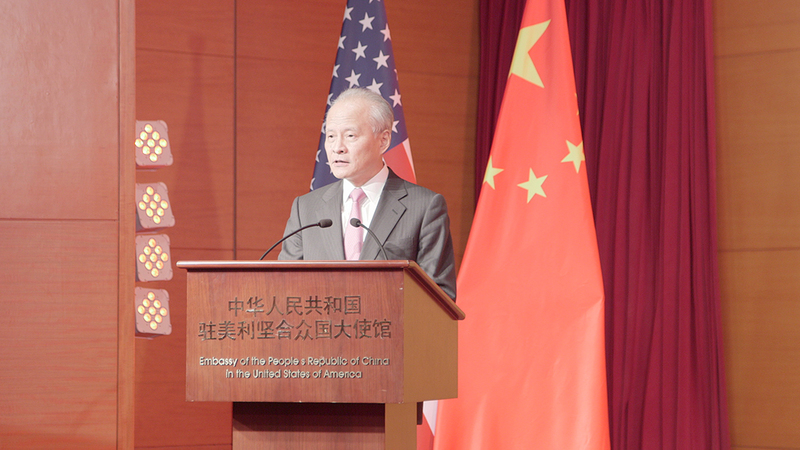 China continues to be an important ally to the United States. 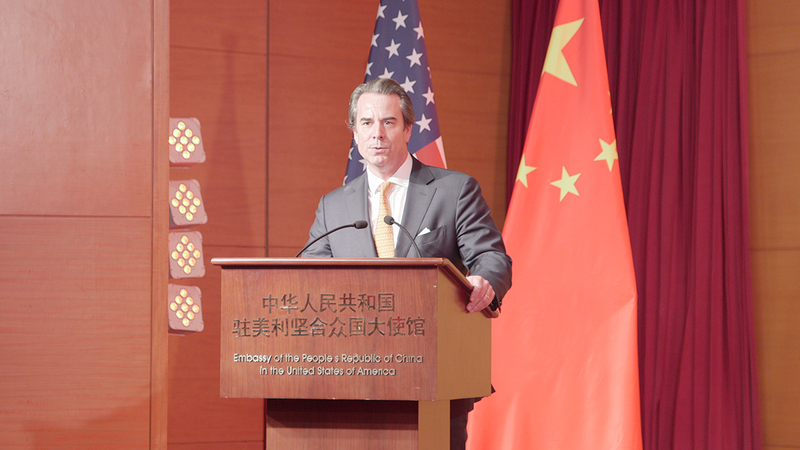 Meridian is proud to collaborate with the Embassy of the People’s Republic of China to deepen understanding between the United States and China through cultural diplomacy. As part of our American-Chinese Cultural Initiative, a public-private partnership between U.S. and Chinese businesses, non-profit cultural organizations, and government, our annual Chinese Lunar New Year event seeks to bring together communities with mutual respect and fascination of the world and all of its cultures. From everyone here at Meridian International Center, we wish you a healthy and prosperous year of the dog.